Omega Masonry, INC is a building contractor, and is a company you can trust to take care of all you masonry and concrete work. We are located in Plano, Texas, but we work with clients throughout Dallas and the DFW area. Although our company is fairly new, we have decades of experience in masonry and concrete construction work. We can build, rebuild or repair from mailboxes to retaining walls. Our services include Brick Masonry, Brick Repair, Brick Siding, Concrete Construction, Concrete Driveway Installation, Concrete Repair, Driveway Repair, Fireplace Repair, Hardscaping, Masonry, Patio Construction, Retaining Wall Construction, Stamped Concrete, and Stone Masonry. We can take care of new construction or emergency masonry repairs. Our projects range from small brick and concrete jobs for residential customers, like mailbox repairs, to new retaining walls which we built for the city of Dallas. 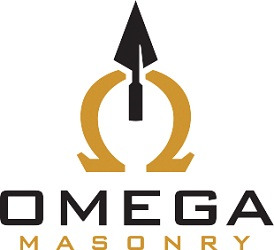 Omega Masonry is committed to providing quality work which we are proud to stand behind. We warranty all of our work and continue to strive for 100% customer satisfaction. We are here to serve you, so no matter the difficultly of the job. No job or project is too small or too great for us to handle. From repairing an impacted mailbox to a rebuilding a collapsed retaining wall we are qualified to handle them all. We follow all city codes and engineering specifications to the letter. Our contractors are knowledgeable and have years of experience in constructions so contact us today about your next home masonry or concrete job. Map of Omega Masonry, INC.